Throughout India’s history, women have proved that they can step beyond domestic boundaries and forge new trails. In the process, they also have positively impacted society and sowed the seeds for women’s empowerment and progress. We take a look at some such inspiring figures. The nurturing figure of a woman as homemaker, wife and mother is a potent symbol within India’s cultural heritage, and still influences how women are regarded within society. Throughout India’s history, however, there have been women who found their own voice, asserted their rights and followed career paths that were rightfully theirs to pursue, often in the face of opposition. The word ‘trailblazer’ is attached to many of them because the dreams and ideas they pursued were revolutionary at the time. 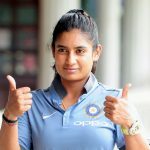 Here we focus on Indian women from many different walks of life whose individual actions and choices have impacted society at large. 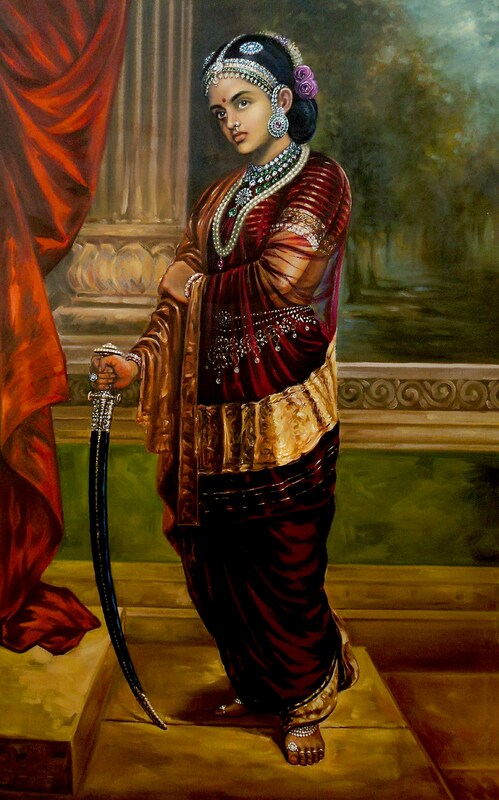 Rani Lakshmibai, known as the Rani of Jhansi, was one of the leading figures of the Indian Rebellion of 1857 against the British, and to this day she is regarded as a powerful symbol of defiance against colonial rule. 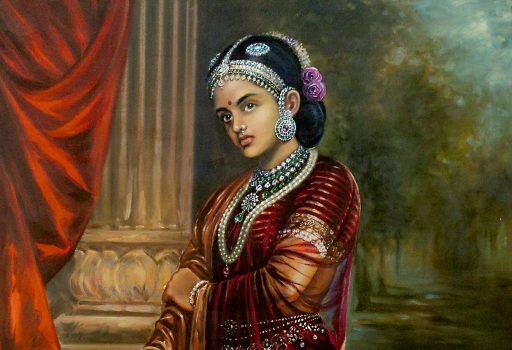 Lakshmibai was married to the Maharajah of the princely state of Jhansi. When her husband died, the British refused to recognise the claim to the throne of the child they had adopted and named as heir. This long-standing tradition had been undermined by the colonial Doctrine of Lapse, a policy of annexation under which a territory would automatically be annexed if the ruler died without a direct descendent. 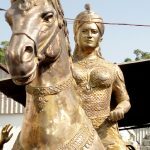 The rejection of Lakshmibai’s claim on behalf of her adopted child coincided with the outbreak of the Indian Rebellion, and within months the Rani found herself defending her city against British forces, who demanded its surrender. Despite its resistance, Jhansi fell to the British and the Rani escaped to Gwalior, where the British made their next successful attack. Dressed as a sowar (soldier mounted on a horse), fully armed and with her child strapped to her back, the Rani went into battle but was killed. 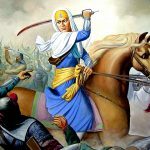 She is commemorated as one of India’s national heroines in films, novels and songs, and the first women’s unit of the Indian National Army was named after her. 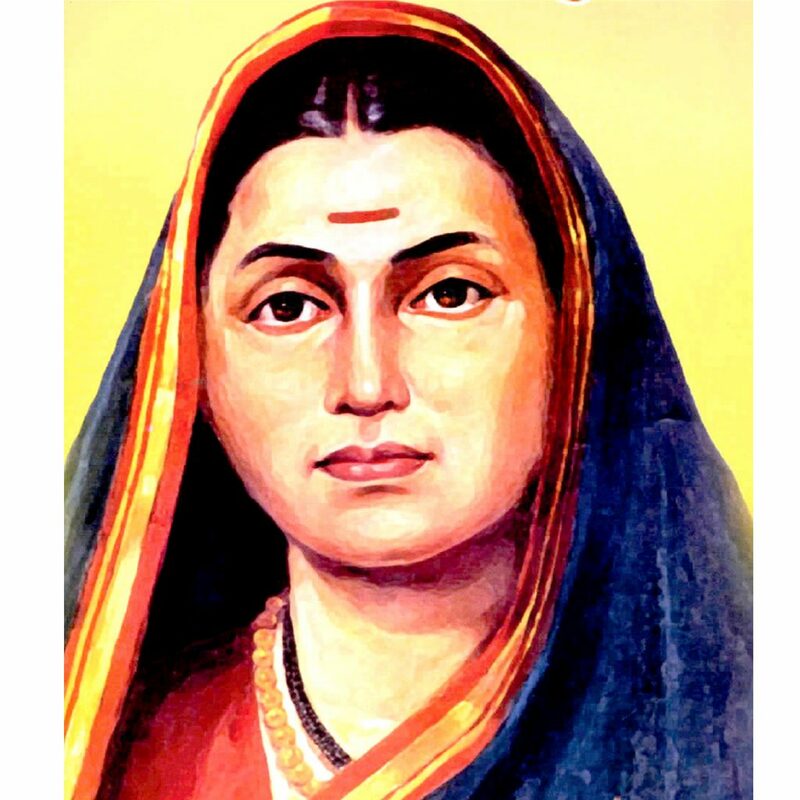 At a time when education was the preserve of the higher castes and lower caste children of either gender were denied the right to any learning, Savitribai Phule was to herald a new age of thinking by opening India’s first school for girls. Phule was born into a farming family and was married to her 12-year-old husband when she was just nine years old. She entered her marital home clutching a book given to her by Christian missionaries, and, impressed by her thirst for learning, her young husband taught her to read and write. Phule was to become a crusader for the education of girls. The couple opened their first school in Pune in 1848, and by 1851 were running three schools with around 150 female students. In so doing, Phule also overcame another hurdle that prevented women from working outside the home but she had to contend with men pelting her with stones and dung as she made her way to work each morning. Phule set precedents that exist today, offering stipends to families to prevent children dropping out of school, and involving parents so that they would understand the importance of education. She extended her work to other vulnerable members of society, opening her home as a shelter for women who conceived out of wedlock and for young widows rejected by their families. 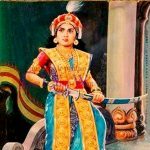 It is said that she grasped the meaning of women’s liberation in India long before such rights were pursued by feminists, and that every Indian woman who is educated today owes Phule a debt of gratitude. 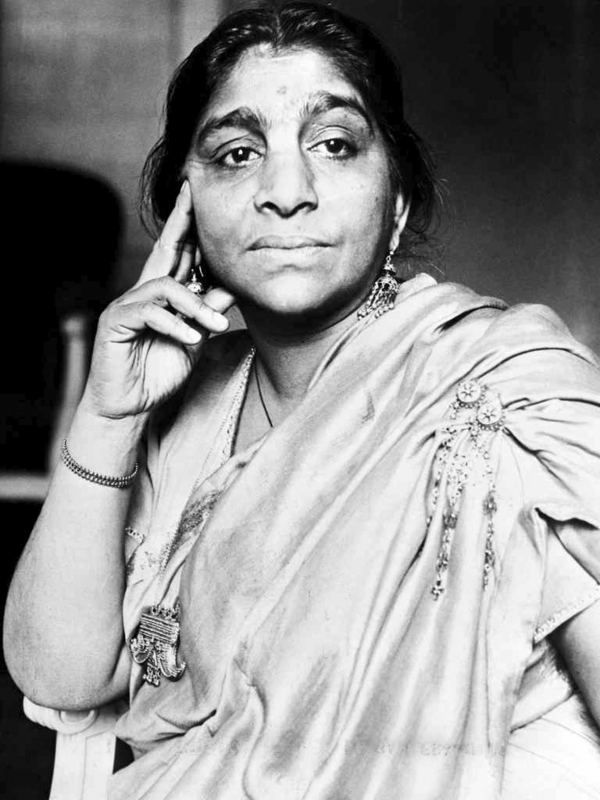 A burning desire to see her countrymen free from colonial rule drove Sarojini Naidu to dedicate her life to fighting for Swaraj, the Gandhian principle of individual, spiritual and political independence, and the empowerment of women. A child prodigy, Naidu entered the University of Madras aged 12, and later studied overseas. On her return to India she was enraged by the continuing suppression of her homeland. 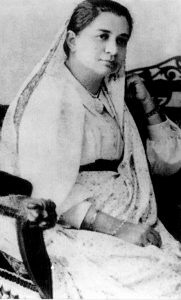 She joined the Indian independence movement in the wake of the Partition of Bengal in 1905 (an attempt by the colonial government to split the state across religious lines that was widely seen as an attempt to quell the Indian Independence Movement) and met the prominent social and political figures campaigning for self-rule. 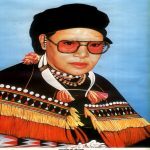 She travelled around India delivering lectures on social welfare, women’s empowerment and nationalism and helped establish the Women’s Indian Association, seeking franchise for women, the right to hold legislative office and equality. Naidu took part in the salt protests and her anti-British activity led to several prison sentences during the 1930s and 1940s. President of the Indian National Congress from 1925, she was the first woman to become governor of an Indian state (Uttar Pradesh) following Independence. To this day she is respected for her unceasing commitment to the cause of Indian independence and gender equality, which transformed the social and political framework of her nation. 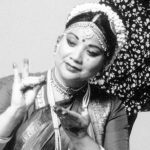 Bharatanatyam is regarded as India’s pre-eminent classical dance form, a status it owes single-handedly to its revival in the 1930s by Rukmini Devi. As a beautiful young Brahmin, Rukmini Devi had already shocked conservative society by marrying a middle-aged Englishman, the Theosophist, G.S. Arundale. 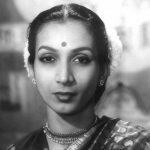 Her interest in India’s traditional dance forms led her to perform a Bharatanatyam recital at a Theosophical Society convention in 1935. Bharatanatyam had always been danced in the temples by the devadasis, the handmaidens of the gods, but no woman born into respectability had danced it in public, and the form had sunk into disrepute. 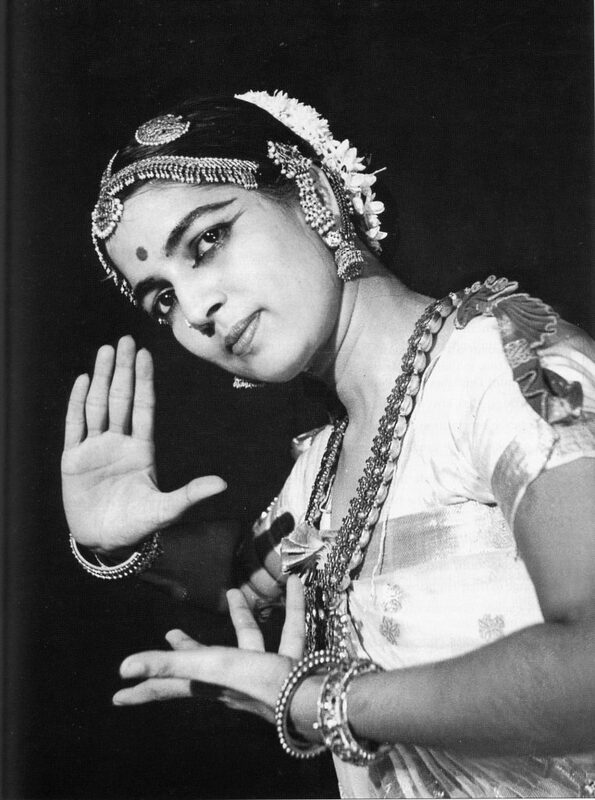 The performance was a turning point, and the Arundales founded the prestigious Kalakshetra Dance School in Chennai in 1936 to further the study of the dance form. In later years, Rukmini Devi served in India’s Upper House of Parliament. Education for women began to take hold during the first quarter of the 20th century and women were encouraged to join the teaching profession. Opposition to women holding other government jobs, however, was entrenched. This attitude was to be overturned by Anna Chandy, who became India’s first female judge. Chandy was born and raised in Trivandrum, benefiting from the state’s matrilineal traditions and reforms that opened admissions for women in the Government Law College. 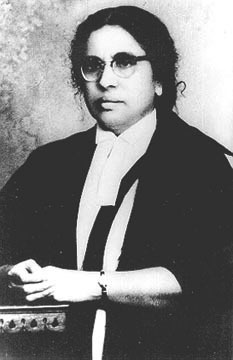 She became the first woman in Trivandrum to get a law degree, braving the sneers and comments of her male colleagues. From 1929, Chandy practised as a barrister, earning considerable fame fighting criminal law cases. But her pioneering work was not complete. Women had been eligible to sit in Travancore’s Popular Assembly from 1922, and several had done so. The practical difficulties were formidable, however, and Chandy faced considerable animosity when she fought the elections in 1931. She was targeted by a smear campaign and lost. Nonetheless, Chandy went on to be elected from 1932–1934, and in 1937 was appointed the state’s first female judge. 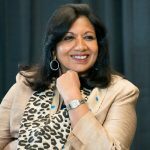 Chandy was fiercely determined to make a success of her new post as she knew she was a test case; “If I faltered or failed, I would not just be damaging my own career, but would be doing a great disservice to the cause of women,” she later wrote. 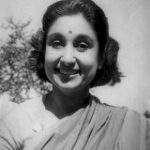 In 1948, Chandy was raised to the position of District Judge and then appointed to the Kerala High Court in 1959 – not only was she the first woman to hold such a position in India but the first amongst all the Commonwealth nations. Most women working in the 1930s were unskilled labourers. Women from respectable homes were expected to become homemakers in turn and certainly not pursue a career that required operating machinery or devices. 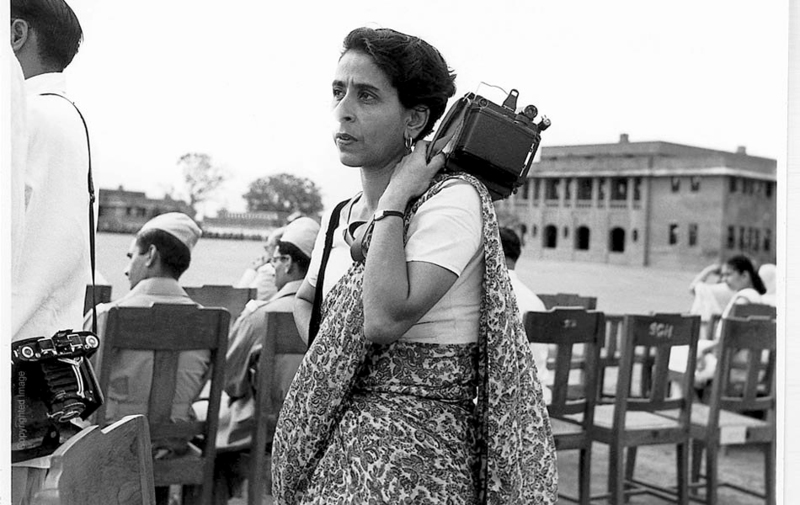 Homai Vyarawalla was India’s first female photo journalist, whose portfolio of images captured the final days of the Empire and the events and personalities that shaped the newly emergent India. Vyarawalla was born to a theatrical Parsi family, and learnt photography from her husband. 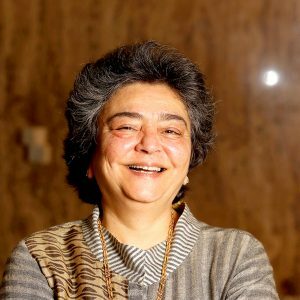 She studied at Mumbai’s JJ School of Arts, and then worked at the British Information Services, a role that plunged her immediately into the world of national politics. Thereafter she photographed many political and national leaders, including Gandhi and Jawaharlal Nehru, said to be her favourite subject. She captured the swearing-in of Lord Mountbatten as Governor General of India, the Dalai Lama’s first visit to India, and the young Nehru-Gandhi family. To succeed in her career, Vyarawalla had to flout many social conventions. She travelled alone by train and bus, and took a practical and spirited attitude to the necessity of sharing accommodation with male colleagues. 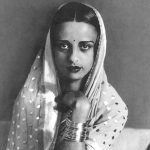 For many years her work was less well known than that of the photographs of India taken by her contemporaries from overseas, a bias towards foreigners that was yet another hurdle to her career. Many of her images now form part of India’s national archives. The gender gap in the field of science and scientific research was equally pronounced at this time. Asima Chatterjee was born in Calcutta. Her father, a doctor, was a keen amateur botanist who encouraged his daughter to take an interest in plant chemistry. 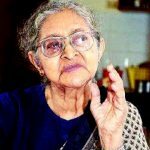 Although it was unheard of for a woman to study chemistry, Chatterjee was to graduate with honours in the subject in 1936, and established Calcutta University’s Department of Chemistry in 1940. 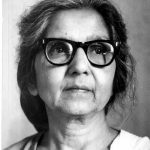 In 1944 Chatterjee became the first Indian woman to earn a doctorate degree in science awarded by an Indian university. 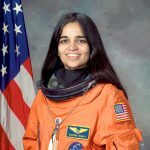 Her contribution to Indian science was immense. Chatterjee worked in the field of organic chemistry and phytomedicine, the study of chemicals derived from plants. 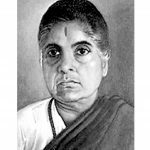 She developed anti-epileptic and anti-malarial drugs as well as plant-derived alkaloids that are used in chemotherapy, and was a prodigious writer, publishing around 400 papers in national and international journals. Professional honours followed. 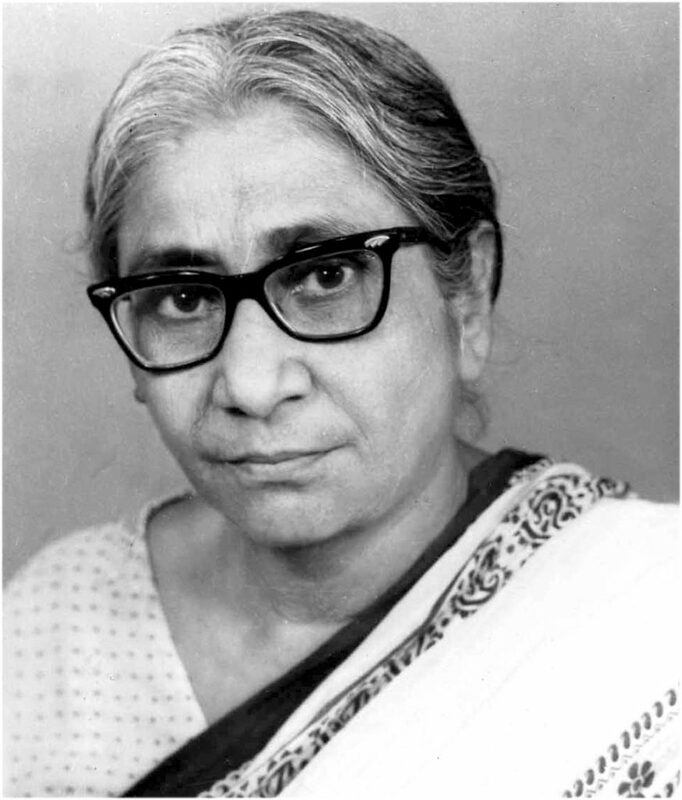 She was elected a fellow of the National Institute of Sciences of India in 1960 (later renamed the Indian National Science Academy) and was the first woman scientist to be elected as the General President of the Indian Science Congress in 1975. She served as a member of the Rajya Sabha from 1982 to 1990. The achievements of a new generation of businesswomen are being recognised in India’s corporate world. Last May, Chanda Kochhar, Chief Executive Officer of ICICI Bank, became the first Indian woman to receive the prestigious Woodrow Wilson Award for Global Corporate Citizenship, joining the ranks of Hillary Clinton and Condoleezza Rice. 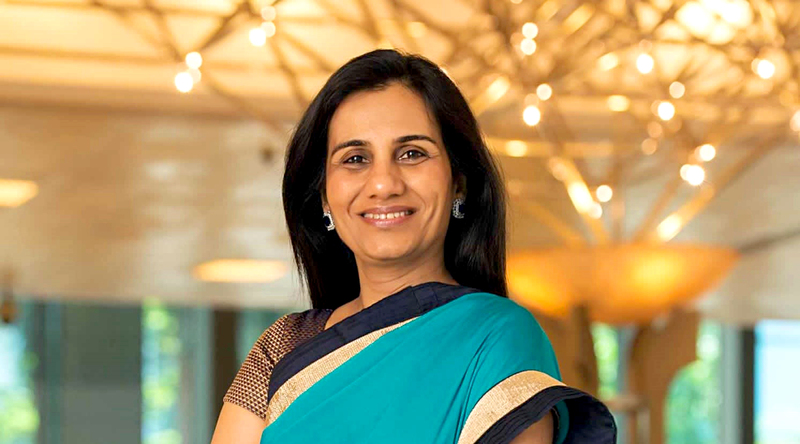 As CEO-Managing Director of ICICI Bank, the country’s largest private sector bank, Kochhar is widely acknowledged for her role in shaping India’s retail banking sector. Kochhar attended school in Jaipur before moving to Mumbai to study cost accountancy, taking a Master’s in Management Studies. She joined ICICI as a management trainee in 1984, impressing colleagues with her focus and ability to make inroads in a male-dominated field. 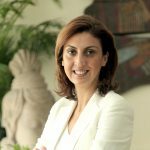 She then headed the bank’s Infrastructure Industry Group, before being promoted to the major client group, handling strategy and e-commerce as well. Under her leadership, the bank started building its retail business. 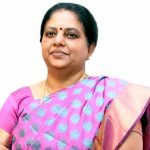 Stints as chief financial officer and joint managing director followed before her appointment as MD and CEO in 2009, responsible for the bank’s operations in India and overseas. Today ICICI is present in 18 countries outside India. Kochhar is active on the boards of many national committees and institutions, and has won numerous industry awards. 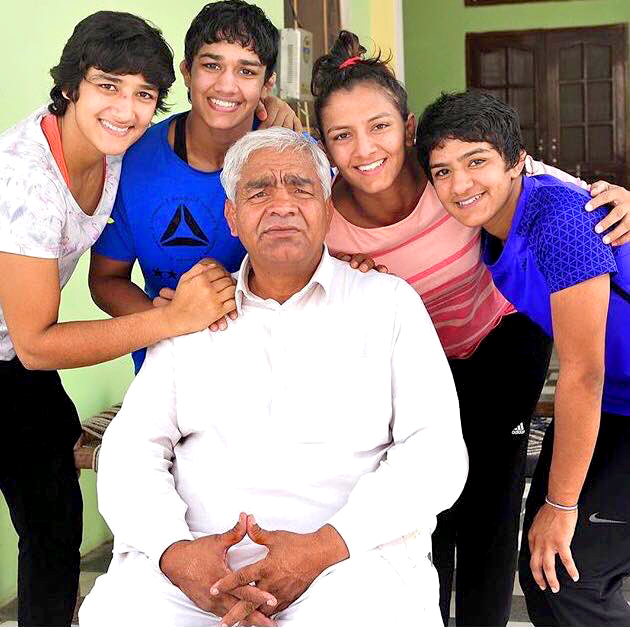 The Phogat sisters are a compelling example of women’s emancipation. Geeta, Babita, Ritu and Sangita, and their cousins Vinesh and Priyanka, are professional wrestlers, breaking taboos and making history. Geeta, Babita and Vinesh have each won gold for India at the Commonwealth Games (in 2010 and 2014). 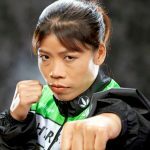 In 2012, Geeta became the first woman wrestler to represent India at the Olympics. The younger girls are Junior Asian Championships medallists. The family lives in rural Haryana where the idea of women wrestling, let alone participating in sport, was unprecedented. A former wrestler and coach, their father wanted to see his children take up the sport. He built a simple training ground and instigated a tough coaching regime in the face of unrelenting criticism as his teenaged girls, dressed in close-fitting sports kit, slugged it out with each other and with the village boys. The sisters found themselves socially isolated, but their competitions drew large audiences and the attention of India’s national coaches. So inspiring has been the sisters’ success, they are now feted by their community and beyond. The media interest in their story is immense, including a film by Aamir Khan based on their lives. The sisters won four medals at the Commonwealth Wrestling Championships in 2017 and are focused on the 2020 Tokyo Olympics.